You’d be surprised by how clueless many people are in regards to finance and important terminology. I find that finance is not a subject we often talk about, unless it’s in the topic of debt and loans. However, it’s important to note that due to this lack of knowledge, banks and scam artists are able to take advantage of the vulnerable. Many millennials are just now starting to learn about their own finances, but may not fully understand. As we reach a certain age and begin our careers, it’s important that we have knowledge and understand the terms we will come into contact with further down the road. This way when we read a word or term, you can readily identify what it is. Debt is money owed due to loans, funding, or failure to make payments. Debt comes with interest which increases the debt by a percentage dictated by the amount that is due. Having debt can severely damage your credit, increase your bills, and prevent you from future borrowing. Interest is the fee or money that is paid by the borrower to the lender for borrowed money. Interest is calculated by the principal (money owed) and is expressed in percentage over a period of time. Interest is basically what you pay for borrowing money, and your bank may also pay you interest for depositing money into a personal account. This is the yearly percentage calculation of a loan. APR is expressed in percentage and can be applied to loans, credit cards, or mortgages. APR aids a prospective borrower in determining the fees of a loan—APR is basically what you’re paying to borrow money, not to be confused with interest rate. An APR tells you the true cost of a loan. Say, for example, you take a loan out on a mortgage, the amount of money after the processing fee, application fee and closing fees, is the true cost of the loan. Your monthly payment will stay the same, however the fees paid at the start of taking out a loan is the APR. In real estate, a security deposit is the amount of money paid in advance as a protection measure for both the seller and the renter. It’s usually paid to cover possible damages. The amount of the security deposit should be either specified by the landlord or mentioned in the lease. 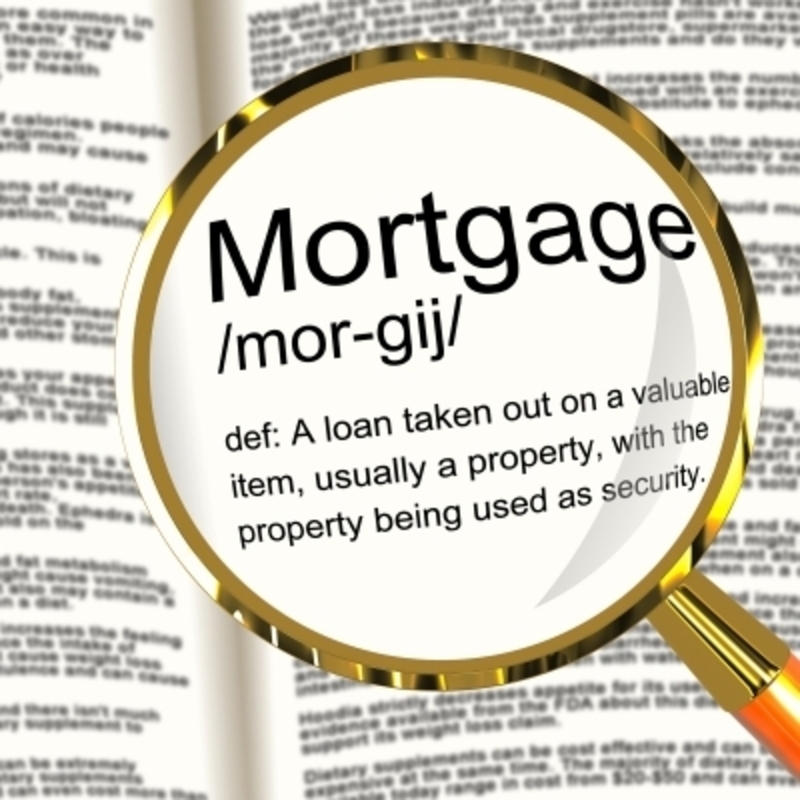 Laws vary by state, so it’s very important that you know the basis of the deposit when the lease is over. A borrowing agreement where the borrower agrees to pay the lender at a later date. Purchases on credit are usually made via credit cards and are given to the borrower with a maximum credit limit. Credit limits are determined by the borrowers rate, score and ability to pay on time. This is the amount of money that is left for personal spending after taxes and cost-of-living expenses are taken care of. Disposable income determines how much you’re allowed to save up. Having a negative disposable income indicates financial. Making cutbacks and separating needs and wants, are one of the many ways you can ensure a healthy disposable income. A one-payment for the total amount due, compared to periodic payments, like installments. The loan that finances the purchase of real estate, in many cases a house. The lender (bank) gives the borrower (potential home buyer) a lien on a property to be paid monthly for a fixed rate period. Depending on the lender, you can secure a fixed rate mortgage with a period as short as 10 years, to a period as long as 50 years. Most mortgages, however, are traditionally loaned at a 15 or 30 year fixed rate. The replacement of an existing mortgage with a new home loan. Refinancing a home mortgage gives you the option to change one or more terms of a mortgage, including the interest rate, principal balance, and term. Mortgage borrowers usually refinance to either raise cash, reduce monthly payments, reduce the risk of high monthly payments, or to lower interest cost. Refinancing for money is called a cash-out refinance. A cash-out refinance is the opposite of traditional refinancing. You will have the ability to take money which allows a borrower to utilize the equity of their home. But when a borrower chooses a cash-out option in addition to their existing loan, their new mortgage balance will be larger than the original, increasing the monthly payment. A home equity is a loan that is calculated by what is owed on the mortgage and how much the house is worth. Home equity is essentially the amount of ownership that has been built up by the holder of the mortgage from payments. A tax-deferred savings account saved for retirement. This type of retirement account allows for tax-breaks, which also allows better financial security in the future. You can keep stocks and assets in here. An agreement or arrangement where a lender gives money to a borrower, and in return the lender must pay back with interest and in installments at a later time. Loans typically accrue funds. The payment of installments at a set or fixed amount; also paid at the same frequency. A retirement plan offered by an employer for their employees’ retirements. The employee can set aside tax-deferred payments from a percentage of their salary into an investment. When you reach retirement age, you will receive what was accrued. Making any withdrawals before retiring age can come with penalty, however, there may be exceptions for hardship. You can also transfer your 401K to an IRA and vice versa. This process is called rollover. Retirement benefits received after someone has retired. This is given to an employee by their employer. The process of combining similar instruments like loans or mortgages, into a negotiable security. The risk that if you live longer than expected, your retirement funds received might not be sufficient. Depending on your pension or insurance company, this responsibility may be taken on by them. This simply ensures that you continue to receive money even if you live past an expected age. The period of time beginning at January 1 of the current year, to the present date of that same year. You’ll typically find this term on your paycheck. You can also find variations of YTD in regards to gross pay, net pay, and taxes. A safety measure on your personal banking account which helps you avoid a fee or high interest from a bounced check or insufficient funds in your account. Without it, you can get charged fees anywhere from $25-34. Many banks offer overdraft protection. Take note of these financial terms, and research them more if you still don’t understand them.